Amir Khan believes Terence Crawford is a better match-up for him while admitting he may never face Kell Brook. 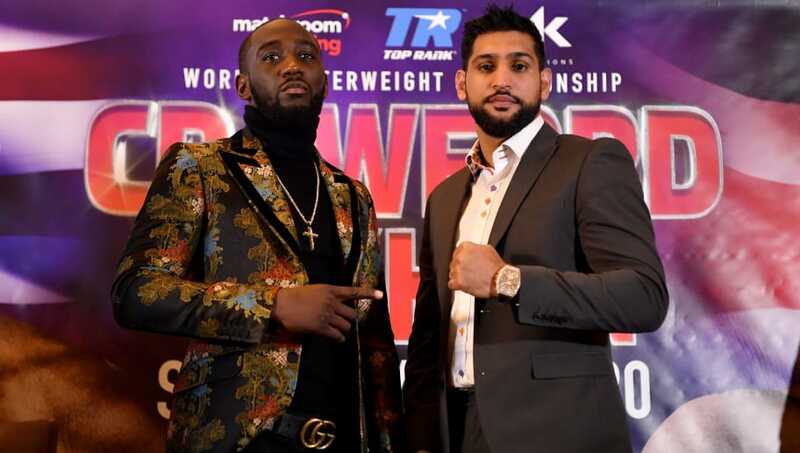 The domestic rivals were in negotiations for a fight with weight being a primary sticking point before Khan opted to challenge undefeated WBO welterweight champion Terence Crawford in New York on April 20 instead. “I had another fight in the UK against Kell Brook, but this fight is stylistically better for me,” Khan said to the Mirror. “Obviously, this is with ESPN, who I want to thank as well. I think that being on ESPN, the fight will be even bigger. It will be good for my recognition for me as well in the future. “I don’t know if that fight is still going to be there. I have seen numerous times in the media that Eddie (Hearn) is saying that the Brook fight is dead. He’s saying it’s not going to happen. “Time will tell, I take it fight by fight. Let’s get this fight out of the way first and then we take it from there. Khan will enter the fight against Crawford as a sizeable underdog but the Bolton boxer remains confident he can spring the upset. “We’ve both been hurt but I’m a fully-fledged welterweight who hits hard,” he added. “I’m am unbeaten welterweight fighter and it’s the weight I feel comfortable at and that I feel strong at. “I’ve got the perfect size whereas the other weights might have been too much for me, like when I fought Canelo [Alvarez]. “Crawford is a very skilled fighter and I can’t take him lightly – he’s got power, he’s durable and he moves well. “For me to win this fight I have to be on my A-game and make no mistakes.